CBA’s Global Research team released CBA’s “flash” Composite Purchasing Managers Index (PMI) for November with economic data for manufacturing and services sector. The latest “flash” CBA PMI released on Friday rose from 52.0 in October to 52.9 in November, indicating a pick-up in both manufacturing and services sectors. Senior Economist Belinda Allen said both sectors are sending positive signals on the outlook for the economy, adding that forward looking indicators are also looking promising. 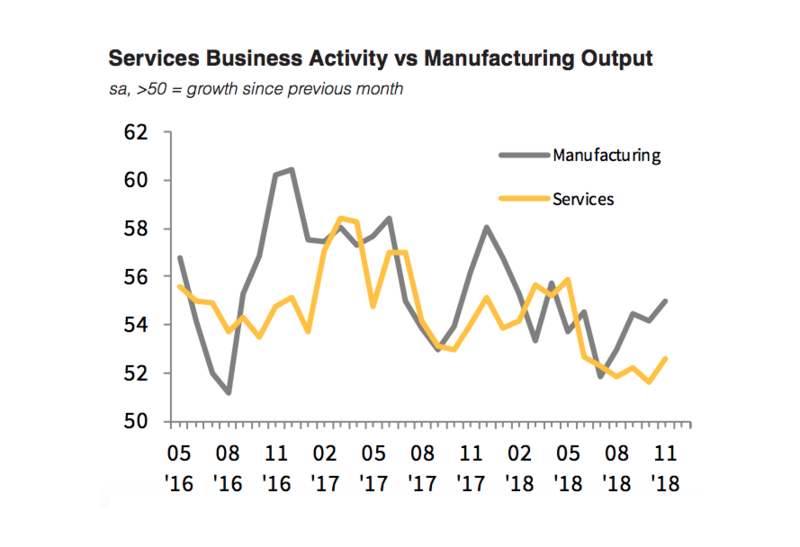 “Both sectors are expanding and the services sector PMI ticked up after drifting lower in recent months,” Ms Allen noted. According to the survey, export orders have picked up in the manufacturing sector after easing over the previous two months, with jobs growth in the sector also on the up. “Jobs growth in the manufacturing sector was solid in November. The services sector is still adding jobs, but at a slower pace in November compared to previous months,” Ms Allen stated. Input and output price pressures eased in the month, likely due to the fall in oil prices. Ms Allen said that while production growth in the economy remained solid, pricing pressure remained “on the softer side”. “Input price pressures eased in the month, likely reflecting the fall in oil prices, output prices eased too. While production growth in the economy remains solid, pricing pressure remains on the softer side,” she concluded.